Photo: Peace Olympics, by Germaine Umutoni, one of the original gafotozi, a photography project sponsored by A Peace of Life. We will be studying passages at the next peace camp to be held this coming November in Rwanda. You can see an abridged version of “Loving Your Enemies” or the full, transcribed version . I love the photo above from last year’s peace camp. 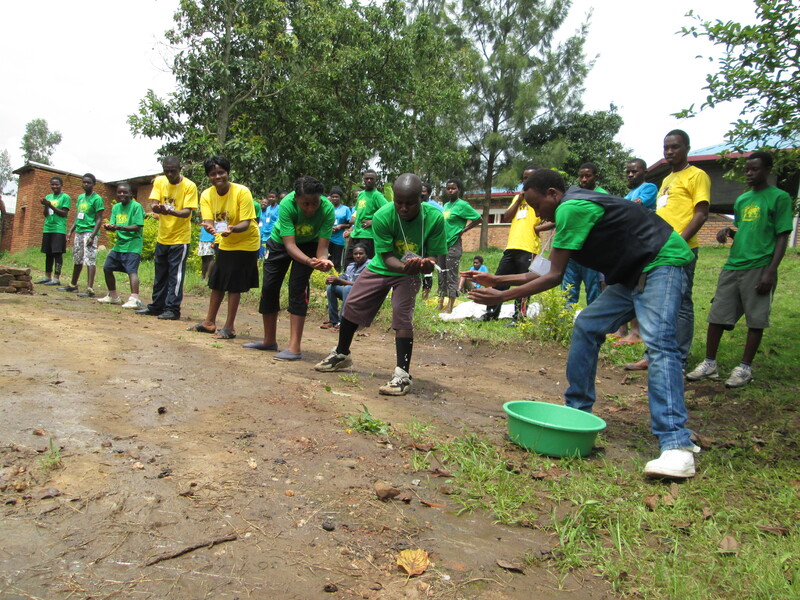 It was the water challenge in our Peace Olympics where you had to pass water by hand to fill a container at the other end of the line. On this team we have both Congolese and Rwandese working together. Learning to respect, love and help each other. To work together for a common good. 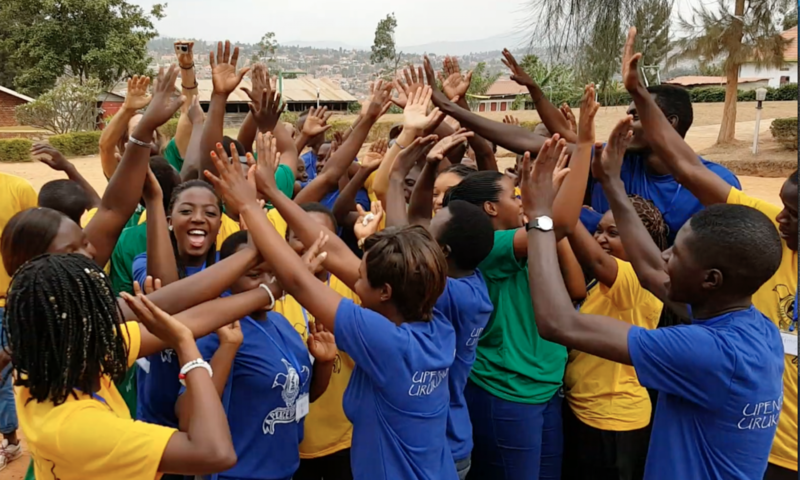 As the global war machine winds up over Syria…as the bombs and hardline rhetoric continue to rain down in DRC and Rwanda…we remember the example of these courageous youth at peace camp; love and peace and just general good neighbourliness IS possible. It starts with respect, listening and dialogue. With being creative together to transform the conflict. Perhaps we need more preaching in governments, business, churches and schools about the need to love your enemies, to seek the peace of your neighbours. We pray for these youth – especially those living in the regions currently experiencing yet again an escalation of violence (Goma/Gisenyi). We pray for safety and that you will be able to stand strong and continue to spread your message of brotherly love. It is a long and hard walk, but worth it. More of our leaders need to be on this path, don’t you think? NEWS: Are you ready for peace camp? Contest launching next month in the AEBR schools. We will also be joined once again by a team of youth/youth leaders from CBCA in DR Congo.